Conducting her first 35-piece film score she composed & orchestrated. 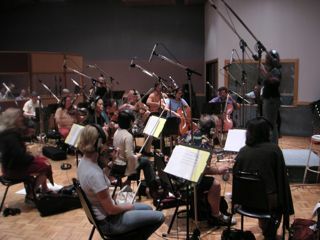 Above and below is Crystal BlackCreek Carlisle conducting her 35-piece orchestral score at Martin Sound dubbing stage for her final score at UCLA Extension Filmscoring Program completed recently. 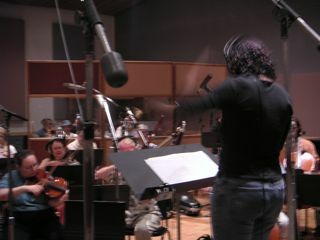 Conducting her first 35-piece orchestration to film at a dubbing session.